Mexico Foreign Minister Luis Videgaray wants to wrap up NAFTA talks by December. Canada and now Mexico say they would prefer any renegotiation of the North American Free Trade Agreement happen sooner rather than later. Mexico’s chief diplomat, Foreign Relations Minister Luis Videgaray, said that the nation hopes formal talks to revise NAFTA will begin at mid-year and wrap up by December, projecting a more ambitious timetable than the one suggested by Donald Trump’s top commerce official. Mexico’s preferred timeline is similar to that of Canada’s, whose ambassador to Washington said on March 5 his country would like talks to start soon. David MacNaughton said “people are sitting on their wallets and they’re not investing” because of the uncertainty surrounding the trade deal at the moment. Based on conversations with the White House, Mexico is looking to start formal NAFTA talks in late June or early July, spend several months working and complete them toward year end, Videgaray said in Washington after meetings with Trump advisers Thursday. On Wednesday, U.S. Commerce Secretary Wilbur Ross said in an interview with Bloomberg TV that the trade talks will probably begin in the latter part of 2017 and that he hopes they won’t last much longer than a year. If NAFTA talks follow the scenario suggested by Ross, uncertainty over the agreement’s fate will likely hang over the July 2018 presidential election in Mexico, which could fuel economic concern, particularly if it seems the agreement will fall apart. The ruling party of President Enrique Pena Nieto and Videgaray is likely to face pressure and criticism from populist opposition candidate Andres Manuel Lopez Obrador, who has led potential rivals in early polls. Mexican law prevents Pena Nieto from running for re-election. "I want to be precise, and this is based on the conversations that we’ve had today in the White House: Each of the two countries are carrying out their own processes to be in conditions to start the formal trade dialogue towards the end of June or possibly at the start of July," Videgaray said in a news conference at the Mexican Embassy. "Mexico will only accept changes to an international agreement, including NAFTA, if they benefit Mexico and Mexicans," he later added. Pushing the review into the Mexican election season would add another layer of political complexity and only serve to heighten fears about Mexico losing access to its biggest export market, the U.S. The Mexican peso has depreciated more than seven per cent against the dollar since Trump won the presidency as investors bet his pledge to narrow the U.S. trade deficit with its southern neighbour will hurt the economy. 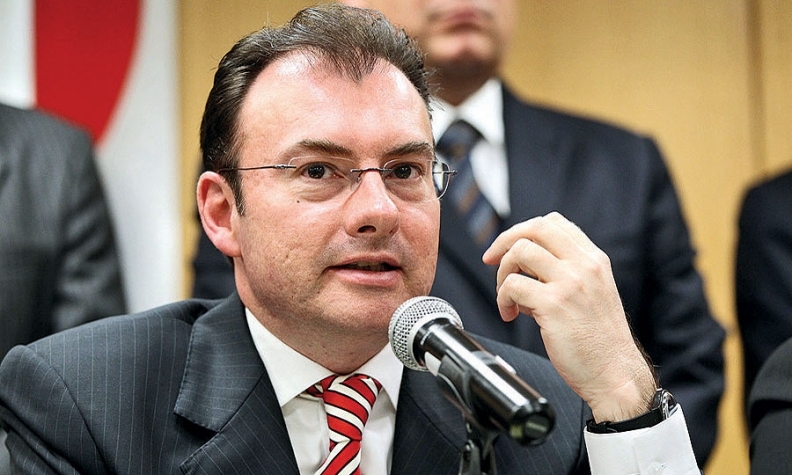 Economy Minister Ildefonso Guajardo said last month that extending talks past early 2018 would be “irresponsibly injecting uncertainty after uncertainty” due to the Mexican elections, and the U.S. mid-term congressional vote in November 2018. Guajardo said in February his country will walk away from NAFTA talks if the U.S. insists on slapping duties or quotas on any of its products. Mexico would support updating NAFTA to add digital commerce, telecommunications and aspects of the energy industry that were left out of the initial deal, he said. Trump has repeatedly promised to levy a significant tax on auto imports from Mexico.